Voice on paper is a technique Navarro developed when returning to her home town in Japan, 20 years after being literally ejected by the Kobe earthquake. On this specific travel grant to Japan, Navarro arranged to work with Fukuda-san, one of the last living masters of suminagashi. 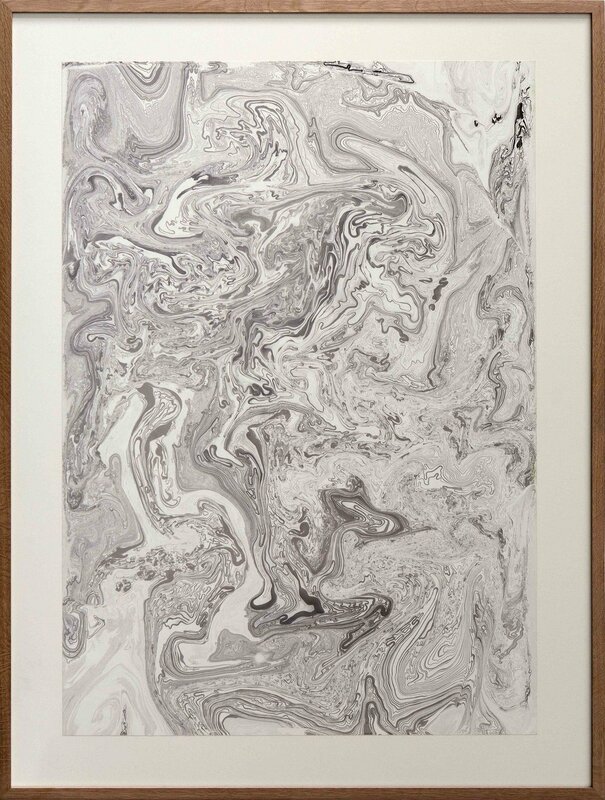 ‘Suminagashi’, or ‘floating ink’, consists of placing concentric circles of ink on the surface of water, and then transferring these markings onto paper. Although Fukuda-san carefully blows or fans the inks into a desired pattern, Navarro replaces the breath with sound often using onomatopoeia as a source to visualize the materiality of words.